Philadelphia Phillies’ star pitcher Cole Hamels had one of the best days of his career. 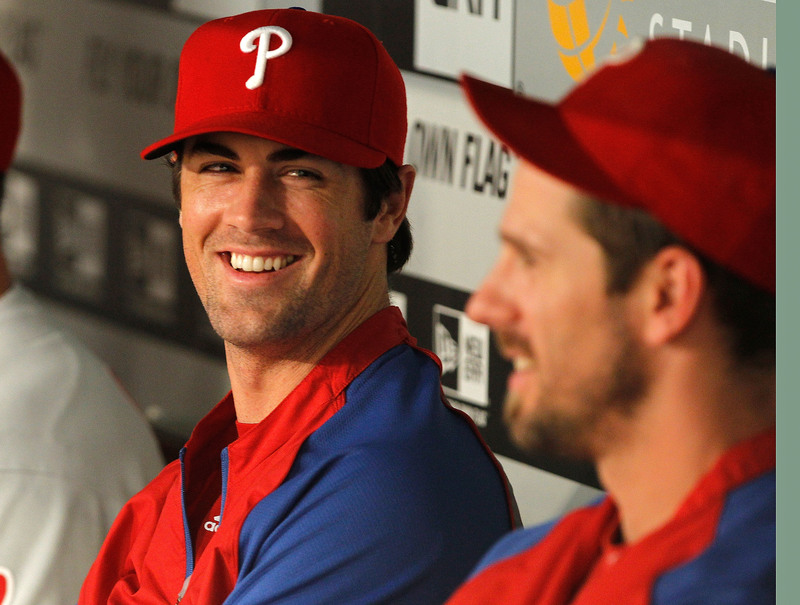 Hamels has always been one of the Phillies’ aces, but he has been heavily mentioned in trade talks. So what’s the best thing to do when a team is ready to get rid of you? How about going out and pitching a no-hitter? Yep, Hamels was marvelous on Saturday, and there were some incredible highlights in the outfield protecting his no-hitter. In fact, the last out of the game happened when the center fielder slipped and still caught the ball. Hamels is currently on cloud nine, and apparently the Rangers and the Dodgers are interested in his services heading into the last leg of the season. Hamels is ready to help any team win the World Series. Kyle Busch is doing amazing things on the track right now. Even if you’re not a NASCAR fan, you have to take notice. Busch won the Brickyard 500 on Sunday, and with the win, he became the first driver to win 3 straight Cup races since 2007. That is pure dominance considering the level of competition out there. In the NFL, the “Deflategate” Legacy lives on. Ever since the Patriots intentionally reduced the air in some of their footballs in January, all teams are suspicious that their opponents will tamper with their balls. To avoid this, the NFL announced yesterday that it will be doing random ball checks to ensure that all balls are up to code at all times. Teams will think twice before letting out any ball air. Seems a bit crazy, but the league can’t risk any more scandals of this nature.